Address: Baosi Industry District, Tangxia Twon, Ruian 325200, Zhejiang, China. 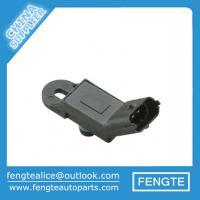 Ruian City FT Auto&Motorcycle Parts Co., LTD is a professional manufacture of automotive parts. We offer more than 20 different types of auto parts, such as wiper linkage,auto relays,fuel tank cap,filter and more. We adhere to customer-centric,take honest as fundamental,create name-brandby service,and regard the quality as the life-blood of our development. We are continually updating our technology using our high talented engineers and adopting the latest production and testing equipment. These machines can process the OEM or ODM orders from our customers faster and more accurately than ever before. Superb quality and amazing after-sale service has given us a great reputation among our customers in China and overseas. Hope to hear from you soon so we can grow successful together. We are taking quality as first priority. If need more details,please contact us .We will reply you as soon as possible and give you the best service .Wish good cooperations!